Since your current website has been in place for a while, the website has some credibility / authority with the Search Engines. To maintain (as close as we are able) the current rankings of the website, we highly recommend the following steps be taken during the launch of your new website. We do not guarantee that there will NOT be a drop in rankings, however these are steps that can be taken to keep the drop to a minimum. We have also include the steps that will be taken each month to maintain and increase the optimization of your website. At the end o f each month you will be sent a detailed monthly report that will provide the site health, position tracking and much more. Shannan our marketing manager will work with you to create a strategy, goals and a 12 month plan to execute and update you monthly through this process with communication and detailed reports. As with all projects, details and services performed can vary and are based on your current site status and health. In some cases we will give recommendations before we start. So while this list is long, it might not include 100% of what we can do for you. 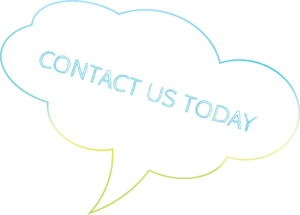 Please contact us for a FREE side audit on your website today! Research & Discovery with Full Website Analysis: this includes site health, errors, warnings and notices that the search engines are reporting on your website, broken images and links, back-link audit that includes spam links and dangerous links to remove. Keyword & Content Research: comparison of your current site versus your competition performance based. Initial Position Tracking Report with Keyword Analysis and Positioning. This report will show you were you are in regards to all keywords on the search engines and what search engines are picking up from your site. You might have keywords you didn’t think of or know about. Meta Tag Research: Page Titles, taglines, meta descriptions and H1-H6 tags on applicable pages of website, links and more. Looking at word count, tilde words, keyword density and placement, and anchor text for Recommendations going forward. Image Compression & Optimization: Large images, media and videos are slow to load and hard on page speed and performance. Mobile Responsive Testing & Compatibility: Even though we build our sitse to be mobile responsive, sometimes when clients are making changes those can be affected and we want to be sure to stay on top of it. Setup and Configuration of WordPress Plugins: These plugins help us with the SEO Management of your website and provide stats needs to address issues as they come up, as well as redirections and more. Creation & Configuration of Google Services: Including both Google & Bing. Allows us to monitor audience and performance, the indexing status of the website and optimize visibility of the website on the search engines. Google & Bing Account Access: We will need this information to manage & monitor your accounts on the search engines. Or we can create new accounts for you. Set Up Canonical Domains: Providing the search engines will the main domain name to display on the internet (ex: with www or no www)We need to place this in the code of your site as well as setup through Google’s webmaster tools. Favicon: Icon displayed in the browsers address bar that can be optimized like an image for your optimization benefits. Submit URL’s to the Search Engines & Allow Website to be Crawled:The final stage in the process before we start monthly search engine optimization and reporting. because why wouldn’t you want Google to crawl your site! Site Health – corrections and create a plan and recommendations for the errors, warnings and notices. 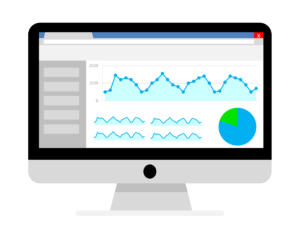 Analyze Google Analytics – 1 and 3 month review of your audience, behavior and what visitors are doing on your website. Position Tracking – changing and modifications with your keywords positioning on the search engines. If we need to make changes to pages and correct keywords. Mobile Responsive – ensure all page on your site can be viewed on all mobile devices. Ensure site is fetching and rendering properly via Google. Means how Google sees your page might not be how you want them to see it. Broken Links– identify and correct across the site both internal links and external links. Loops & Chains – monitor and correct if detected. In totality the reports are 29 pages on average outlining all aspects of your site and seo. Url’s – have proper canonicalization. So what version of your site are you using? Markup On-page – is it present and working. Setup a plan to manage and create if needed. Ensure no duplicate content from own site or taken from other sites. Google has penalties for this. URL Structure – slugs make sense and are optimized for the page. Sitemap – is the sitemap match the site or does it need updating. Don’t forget to add to Google Webmaster Tools as well when you change it! Compare Crawled Pages – to the sitemap to ensure they match. Analyze what pages have issues and create a plan. Crawl Depth – keep clicks within 3 -4 clicks or your customers might not find what they are looking for. Google standards say max 3 clicks. Low Word Count – monitoring because Google likes 300-400 words that is rich content and no fillers or watch for keyword stuffing. Site Speed & Performance – monitor and correct elements that are slow and need optimizing. Keyword Density – monitor and manage site content with keyword report.